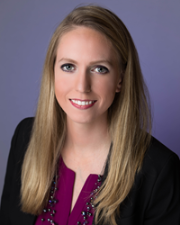 College Nannies and Tutors of Loudoun serving Loudoun County, Great Falls and surrounding communities announced Northern Virginia mother and entrepreneur Caitlin Gillett is the new franchise owner. Parent-teacher conferences coming up? Use our tips to ensure a smooth meeting with a positive outcome. College Nannies and Tutors will hold its annual Food for Families Food Drive throughout our Learning Centers nationwide. College Nannies + Tutors offers professional nannies that come to a home and one-on-one tutoring for kids from kindergarten to high school at the Gilbert Learning Center. Going into their junior or senior year of high school, choosing the right college is most likely something your teen has been thinking about. There are many different resources available to help them make their decision, but offering assistance as a parent is a great way to open up the lines of communication on the topic. College Nannies and Tutors recently welcomed new owners Steve and Lynn Johnson, who held the Grand Opening for their brand new Learning Center on September 10th, 2014. Halloween is full of costumes, candy, and haunted fun! Whether they dress up as a witch, monster, or their favorite superhero, making sure your child is safe while trick-or-treating is top priority. There are ways to plan ahead and ensure the night ends with nothing but a pile of candy. School is back in session, and students are getting back in touch with academics, after school activities and weekend schedules. Unfortunately, back-to-school sometimes causes additional stress for some children. Does your child have a hard time when given an exam or test? There are different ways to beat the anxiety of test-taking and we’d like to take this opportunity to share a few tips with you. Bullying has become all too familiar in today's society. National Bullying Prevention Month is a great time to address the issue with your children, and encourage them to stand up against it. 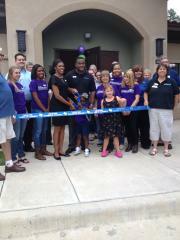 Shannon Johnson recently held a Grand Opening for her new CNT location in Cedar Park, Texas. She is looking forward to Building Stronger Families throughout her community! College Nannies + Sitters + Tutors is the nation’s most respected, complete and professional resource helping busy families raise smart, confident, well-adjusted kids. Since 2001 we’ve built local professional teams across the country who’ve helped hundreds of busy parents carve out time for themselves with a sitter, have help on hand with a part-time or full-time nanny, or get their college bound student the tutoring they need to succeed. If you’re interested in becoming a College Sitter, College Nanny or College Tutor, click here.